So let's get onto the machine. Firstly, it's not too difficult to assemble and took around forty minutes. The instructions are clear and thankfully tell you the length of the each screw, nut and bolt so you know you're using the right ones. There's nothing worse than assemblying half the machine only to realize you've used the wrong bolts - yes we've done it! 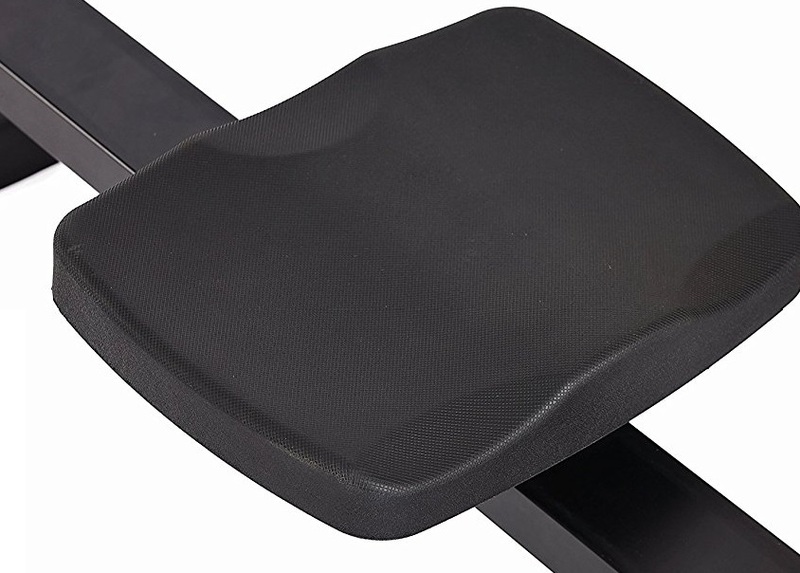 The rowing position is comfortable thanks to a wide-padded seat. The seat slides smoothly and quietly up and down the solid steel beam thanks to the rollers beneath. Your feet would fit easily in the wide foot rests - they also tilt like all foot rests should for a smooth and comfortable ride. The handle is the sort of standard you'd expect on a rowing machine of this price and is well-padded with a good diameter for easy grip. 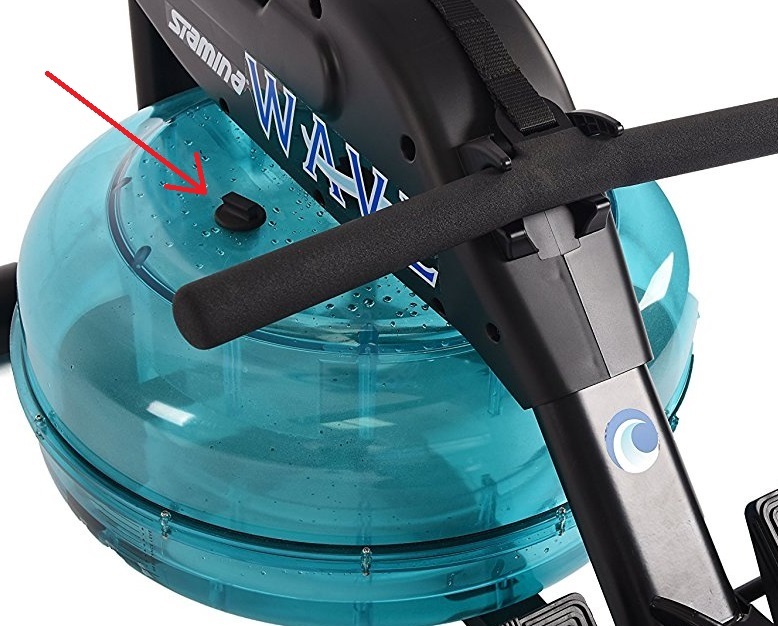 The resistance is provided by a fly wheel spinning in the water tank. This also means the harder you row the more resistance you'll feel. You can raise your workrate further by adding more water (siphon included). More expensive water rowers such as First Degree have a lever to change resistance without the need to get out the bucket - but you would pay a few hundred dollars more for one of these models. The tank as 10 levels marked but note, the warranty may be invalidated if you fill above level 10. Some are put off by the idea water-resistant rowing machines need more maintenance than other types, but this isn't the case. Simply drop a water purifier tablet in once a month and that's it - but never use chlorine as this will damage the tank. The water should be changed once every four to six months, but if it's not going to be used for a month you should empty the tank first. And as this comes with a tough nylon rowing strap, you won't need to oil the chain. It's an okay sort of monitor displaying all the usual data you'd expect to find - if a little basic. This model comes with a heart rate chest strap that displays your pulse on screen - but note there are no heart rate programs. Inexplicably, a large part of the small screen is taken up by a pretty pointless graphic of a little man going up and down the beam. Stamina call it the 'travel distance indicator' to show if you;ve used the full rail - but like you didn't know already! You can pre-set targets such as the distance you want to row, time you want to row, or the stroke counts or calories you want to reach. Note, it requires 2 x AA batteries but they're not included. 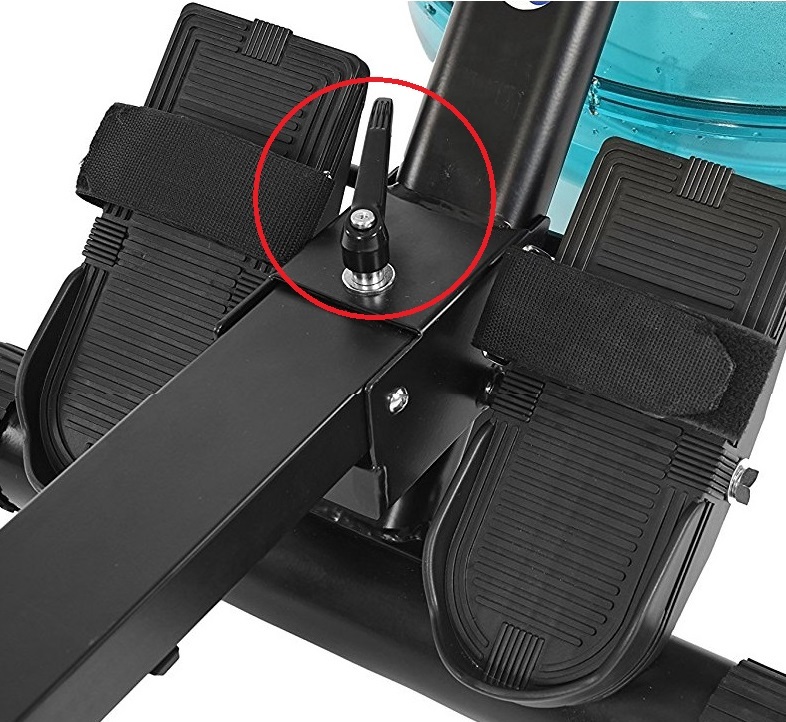 The Stamina Wave a solid, well-built, no-nonsense water water rowing machine. 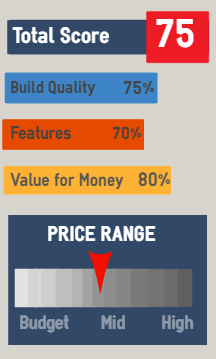 The elegant design is attractive with quality components, and at the price is does represent good value for money in our view. 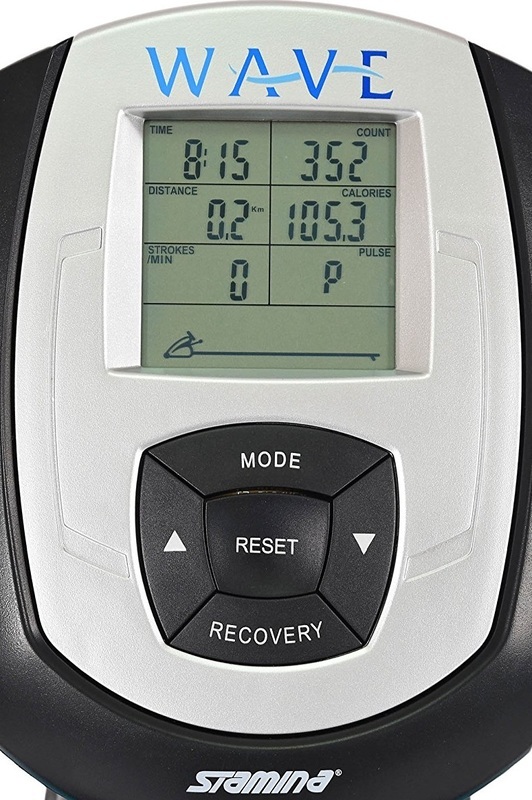 Note - just to confuse you, there's a model called the Stamina Wave 1445 - but that doesn't have a heart rate monitor and chest strap, plus the endcaps don't have a leveling wheel. Not a big difference but we feel the ability to display your pulse rate make the 1450 a better option. * Note, prices may differ - please check retailer website for latest. 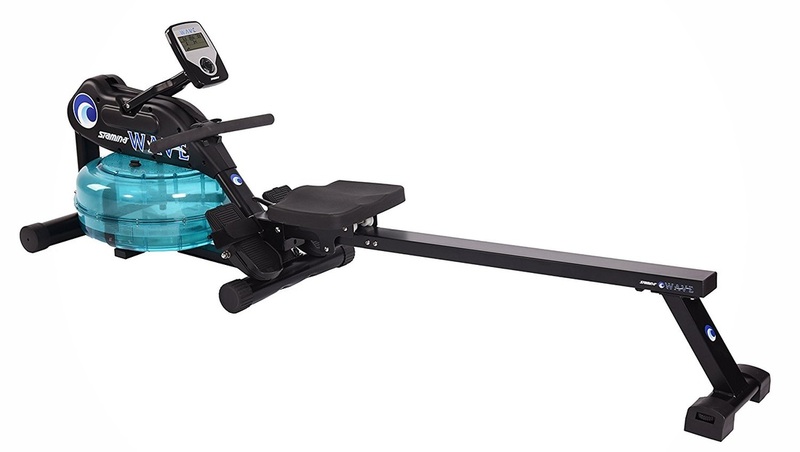 85" x 20" x 34"
48" x 18" x 28"
If you're in the market for a water-resistant rowing machine you could check out Pro-Rower's RX750 or the popular First Degree Newport. Or for less, the Sunny Obsidian is good value for money.